This post originally appeared on the Wave6 blog, an Emtec subsidiary. To read more content like this, please visit their News site. Wave is Salesforce.com’s new analytics cloud platform. Wave came to Salesforce through the acquisition in 2013 of a startup called EdgeSpring that was founded in 2010. 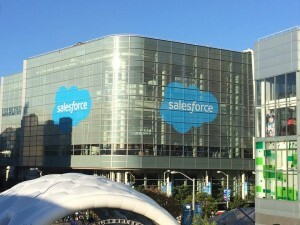 EdgeSpring’s vision was make enterprise analytics simple and scalable and in a relatively short time Salesforce has combined EdgeSpring’s features/capabilities with its own vision of a BI tool with platform capabilities of Saleforce1. The result is a cutting edge data analytics tool that is natively mobile, collaborative and scalable. Designed for businesses of all sizes, Salesforce Analytics Cloud makes business data accessible for any business user, from any device. With Analytics Cloud you can get answers quickly with a search-based, self-service interface and build the dashboards that meet your specific needs by combining multiple datasets. Analytics Cloud can be utilized by all constituents in an organization, from end-users to IT staff to gain better visibility into their most critical data. Wave6 has had the opportunity to partner with saleforce.com on an Analytics Cloud pilot projects for GE. As one of the premier partners of the Salesforce Analytics Cloud ecosystem, we have had the unique opportunity to create various proof of concepts on the new platform. Here are what we believe are some of the top features! 1. Search Based Design – Facilitates easier user database searches with simple interfaces and search engine functionality. 2. Single View – Analytics Cloud seamlessly aggregates data from multiple Salesforce Orgs within an organization (for example – sales, service, etc.) and provide a single comprehensive view of data. This enables faster, easier and better insights. 3. Mobile First Design – Designed to be device agnostic. It works fluidly with smartphones and tablets but also works seamlessly on desktops. 4. Collaborative – The built-in presentation mode and Airplay allows users to push their dashboards to televisions and monitors from their mobile device for team collaboration. 5. Data Connectivity – Designed to be open and has a growing partner ecosystem resulting in connectors being available for various third party data sources and ETL tools. This allows users to unlock data trapped in structured data sources, legacy systems and social media with relative ease. 6. Speed and Capacity – Utilizes Massively Parallel Processing (MPP) cloud infrastructure across numerous servers and several petabytes of storage. This allows users to navigate, slice and dice very large datasets with lightning speed and ease. 7. Data Uploads – Uses key-value pair data ingestion when uploading data, so there are no predefined schemas or relational requirements to conform to. This makes data uploads much simpler to complete. 8. Security and Governance – Uses Salesforce’s underlying security architecture and role based hierarchy for data governance. This means data, dashboards, reports etc. are secure; and only the users with appropriate access privileges can view them. 9. Visualization – The platform has easily customizable and visually intuitive dashboard designs and reports. It is extremely user friendly in measuring, filtering, grouping, viewing and sharing data. 10. Big Data – Analytics cloud is designed with Big Data in mind with capabilities to access both structured and unstructured data. Salesforce.com, as usual, does not disappoint. We are truly excited about the possibilities that this can bring to our enterprise clients. Better insights for all users- from Sales to Finance to Operations to HR and IT. And they can now get it anywhere, on any device. Talk about transformative! See all your options, and arrange a free demo!